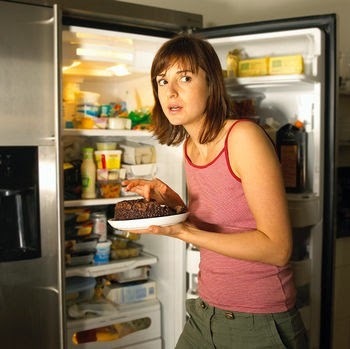 Your late night meals/binge eating could be the reason for your rapid weight gain and hindered weight loss. Good Morning Sweeties, did you sleep well? Great!! Does the topic sound familiar? Lol, sure it does. This was my BIGGEST problems in the past. No night went by without me having some sort of snacks in bed while watching my late night shows. And mind you, this is after a late night meal which was of course very heavy. After eating all these things, I crash almost immediately.Those days, I had no clue about counting calories or the effect that this was having on me. Soo many people have complained to me that they have been trying and trying to lose weight, they exercise and "don't even eat much" but the weight isn't coming off, not even 1kg. When I ask them if they do late meals, they say "yes"! There's your answer. I understand that the kind of job some people do wont allow them eat healthy meals and at the right time. But you can try cant you? Late night meals don't have to be heavy, especially for weight watchers. Case study 1: Beth goes to work and doesn't eat all day, except for the cup of coffee she managed to squeeze in around noon. Now, she get home at 9pm, cooks herself a LARGE bowl of pasta and meatballs, sits down to eat. Afterwards, she goes for a bottle of soda. Right there where she ate, she dozes off at about 10pm till the next morning at 5am and shes off to work. Same thing everyday! Case study 2: Amy gets to work at 7am, has a cup of coffee with some crackers, lunch is a plate of rice and stew with beef, some ice cream as dessert, at 4pm she eats some birthday cake courtesy of a colleague, 6pm, she stops for some more ice cream, you know now, 'one for the road'. 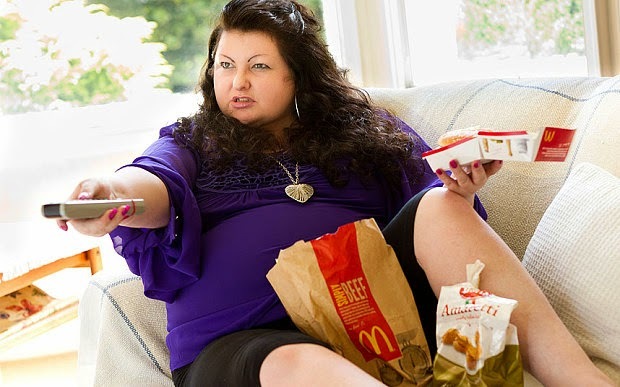 She gets home at 9pm after 3 hrs in traffic, goes and makes herself a large bowl of pasta and meat balls, eats in front of the tv, oh and some coke to wash it all down. After watching her favorite tv show, she dozes off till the next morning! Now which of these 2 ladies do you think will lose weight??? Please attempt in the comment section. Lol! Some people must, must, must eat unhealthy snacks at night! If they don't, they will be very angry and cranky, they can kill if there is no form of sugar in the house. Chieeee!!! This one needs 21 days fasting and prayers! It leaves you bloated upon waking up in the morning. It disturbs your sleep pattern. It makes you put on weight fast because you don't allow the food to digest before you lay down to sleep. The food immediately gets stored as fat. You wake up angry and with headaches. You feel weak, sad depressed. Take your own meals to work, so you dont have to keep looking for who or where to buy food from. Store it in your office fridge and microwave when you are ready. No excuses. Always have fruits handy, so you can munch even in traffic. Apples are my go-to fruit. They are not messy. Eat your last meal of the day at least 3 hours before you get in bed. Take a short walk after dinner to help the breaking down process. This walk could even be in the house. Walk around the sofa if you have to. No excuses! Eat a light dinner. Dinner should be your lightest meal of the day. If you are the kind that loves your heavier meals at night then make sure you eat it at least 3 hours before bedtime. If you still feel hungry after dinner, eat a fruit or a cup of calming tea like chamomile. It will help you relax and stop the cravings. I know some people that workout late and eat late, they balance it out. Try it. Listen to your body and make sure it is true hunger. If its not, it will stop after a glass of water. Allow your body to use up its stored fat. Don't feed it more food, let your body do the work. If you have to eat late, make sure its a good minimal portion and its a healthy food that will breakdown fast (Salads are a great option) You can eat as late as 11pm and not put on weight. 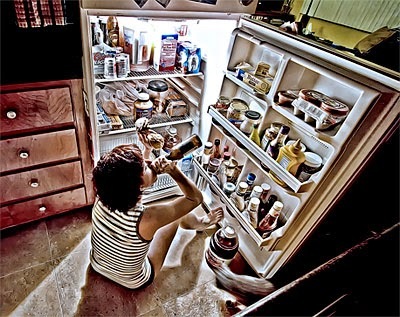 Try and avoid it if you can, don't allow your body get used to late meals. 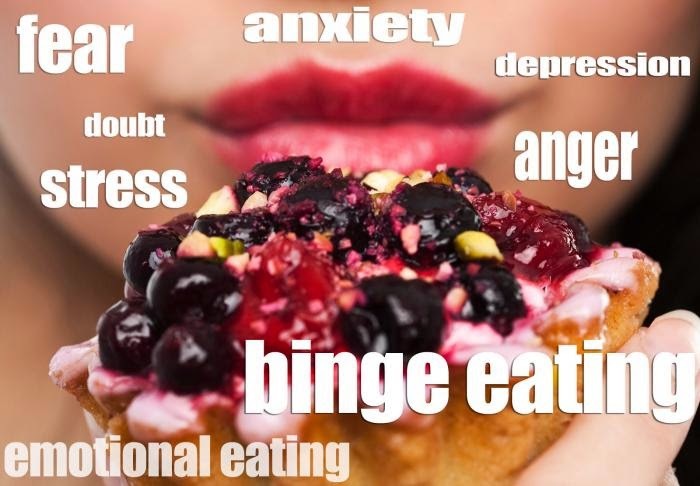 Are you a late night binge eater? The one that tip-toes to the fridge when everyone is asleep, crunching and opening cookie wrappers? Hahahahaha! Oya confess!! But those late night snack dey sweet die! !